Citizenship judges will insist on seeing a person's face when swearing a citizenship oath, according to new rules outlined by Immigration Minister Jason Kenney. Kenney said he's had complaints from MPs and citizenship court judges that it's hard to tell whether people with their faces covered are actually reciting the oath of citizenship, which he says is a requirement to become Canadian. Wladyslaw Lizon, a Conservative MP from Mississauga, Ont., brought it to his attention, Kenney says. "We cannot have two classes of citizenship ceremonies. Canadian citizenship is not just about the right to carry a passport and to vote," he said. Citizenship and immigration officials will be asking that "all those taking the oath do so openly," Kenney said, describing it as a "deep principle that goes to the heart of our values." A spokeswoman for the Canadian Council on American-Islamic Relations says the group was floored by the announcement. 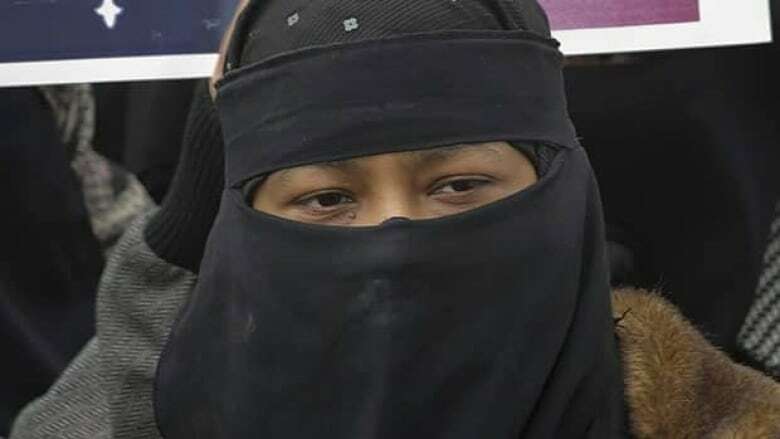 On Thursday, the Supreme Court heard arguments in a case where a woman wants to testify in court while wearing a niqab. The complainant argued her right to wear the niqab is protected by the Charter of Rights and Freedoms. Interim Liberal Leader Bob Rae says Kenney should have waited for the Supreme Court decision, which will determine whether there's a limit to freedom of religion. "I must say that, personally, I'm not aware of an epidemic of burkas in front of the citizenship courts of the land. It's something that's escaped my personal attention," Rae said. The government's guide to citizenship notes organizers should be culturally sensitive and that it's appropriate to wear national dress to the ceremony. P.O.V. : Should veils be banned during oaths of citizenship?